Geneva is a quaint, charming and historic town of 19,000 located 40 miles west of Chicago, situated in the heart of the Fox Valley. Most of its character comes from its historic architecture and its lovely downtown with brick paver walkways, antique street markers, gorgeous trees and beautiful flowers making for a delightful shopping experience. Geneva contains a large number of its historic homes built in the mid-to-late 19th Century. Many are of a specific architectural style as Greek Revival, Queen Anne and Italianate providing for an atmosphere of refined and understated elegance. While maintaining an outstanding tradition of excellence, Geneva Community School District contains some of the most versatile facilities in Illinois. Geneva community, like many of the other towns in the Fox Valley, is very supportive of its school system and prides itself in offering the only finest in educational, athletic and extracurricular activities. 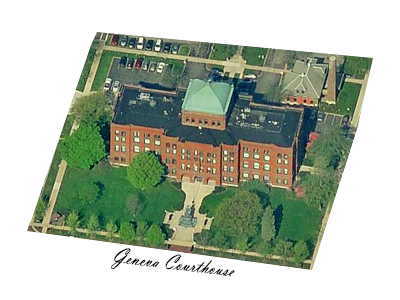 The Geneva Community High School is over 125 years old and has approximately 1,400 students, 90 faculty member and offers more than 100 courses in eleven unique academic areas. Geneva is full of celebrations! During midsummer, Geneva celebrates its Swedish heritage with The Grandaddy of Illinois’ Festivals, Swedish Days. This festival features a Craft Show, Fine Art , the Swedish painting art of Rosemailing, the state’s largest Music Competition, a Carnival, Kid’s Day, entertainment each night of Central Stage, a renowned Grand Parade and a Drum and Bugle competition. Other annual festivals include: Geneva Arts Fair in July, Festival of the Vine in autumn and Geneva’s infamous Christmas Walk in December with a House Tour. As you can tell, there are a lot things about Geneva making it a special place to live.